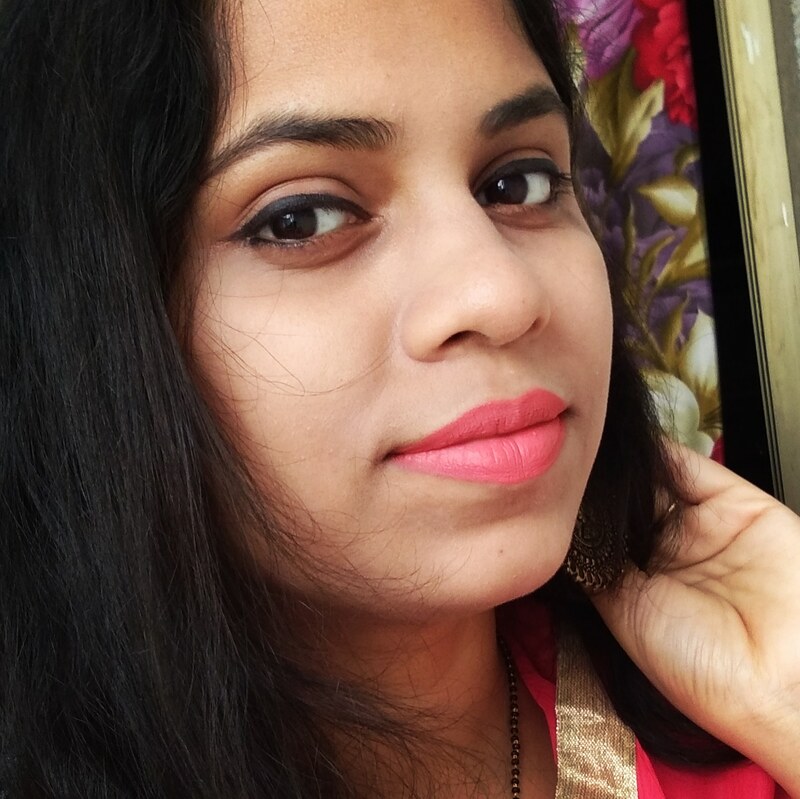 Heya girlzzz, how are you all doing ? I am MIA these days, so sorry for that. These days I am not feeling good, hence not able to sit and write properly. 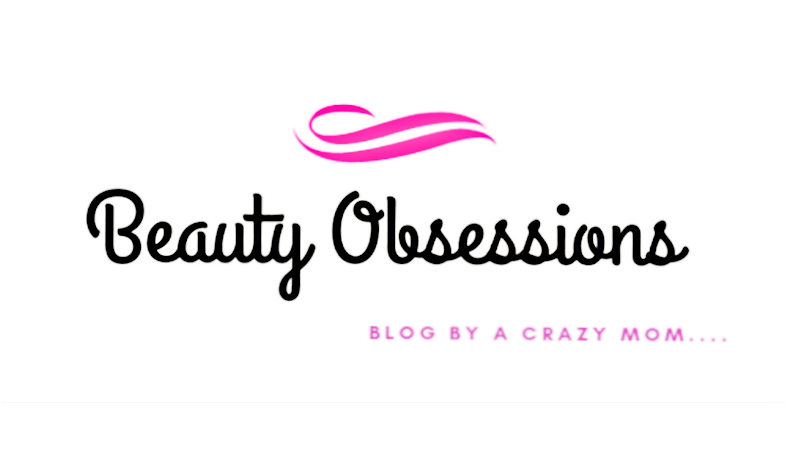 But today I decided to excuse my laziness and ready to write an interesting post for all of you... In today's post I will introduce a new skincare brand Bliss Botanical which make high quality handmade soaps but the price is not on the higher side.. Read the post below to know more in detail..
Bliss Botanical is a brand which makes all natural, chemicals free handmade soaps. As this is a new brand, they have only few variations of soaps till now. All the soaps are made up of natural ingredients and SLS/SLES free. These are also paraben free, mineral oil free and there is artificial colour and fragrance . All the soaps are completely handmade and not tested on animals and purely vegan. Aren't these seems great for our skin. Currently there are four variants available. 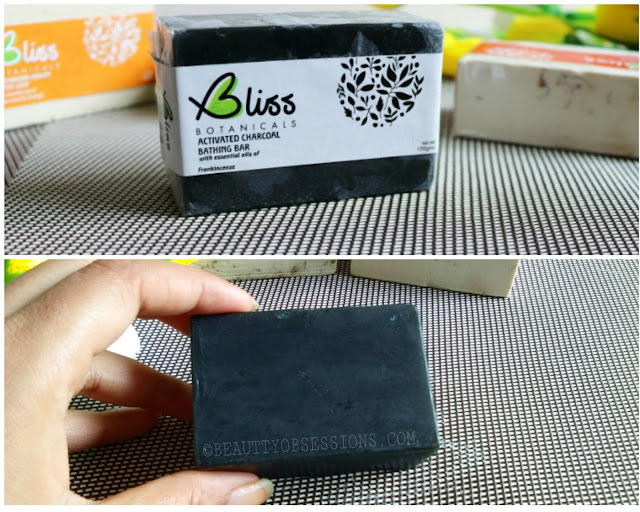 Let's review all the soaps in detail ..
Charcoal is great for skin as it cleanses skin deeply. And frankincense oil is a natural antiseptic and it also improves skin texture. All and all this soap helps to detoxify skin properly. It has goodness of coconut oil, castor oil and other essential oils which moisturise skin very gently and doesn't let skin feel dry . It also has cane sugar, activated charcoal, vitamin E ,etc. This is suitable for all skin type . This soap has goodness of coconut oil, castor oil, rose water, cane sugar, corn oil extract, kokum butter, dehydrated basil leaves, vitamin E, tea tree oil and peppermint oil. Coconut oil and castor oil cleanses the skin gently and kokum butter keeps skin moisturised. This soap is suitable for normal to dry skin and sensitive skin too. This soap has goodness of coconut oil and castor oil which cleanses skin deeply and Kokum butter works as a great moisturiser. It also has rose geranium oil which aromatic floral fragrance promotes healthy glowing skin. Bergamot oil helps to calm down the nerves and makes you distress. All and all this soap is a nice blend of essential oils. This soap can be used by men, women and even kids. It is suitable for normal to dry skin type and also for sensitive skin. This soap moisturises skin as well as exfoliates . 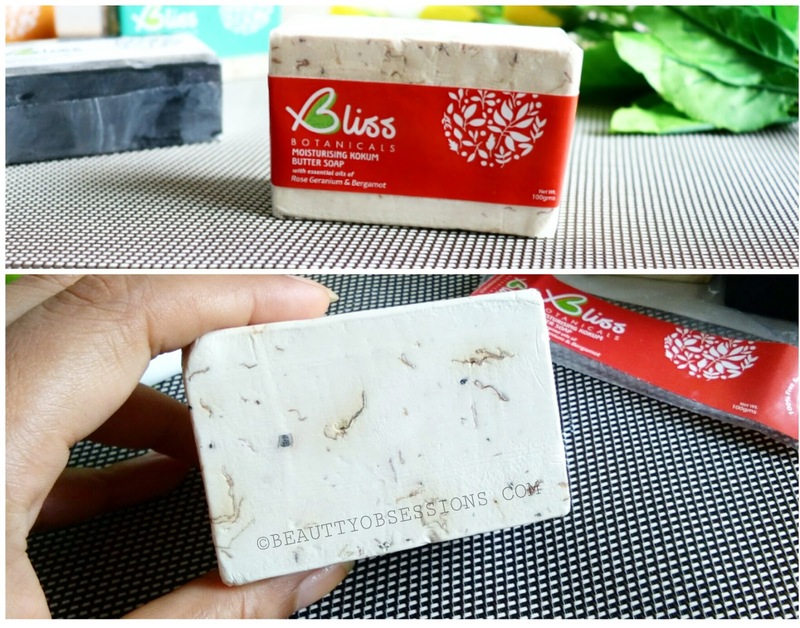 The soap base is made of coconut oil and castor oil which cleanses skin properly and Kokum butter moisturises well. Cedarwood oil's mild woody fragrance helps to control skin dryness while orange oil's sweet aroma helps to uplift the senses. This soap is ideal for men . It is suitable for normal to dry skin and also for sensitive skin . 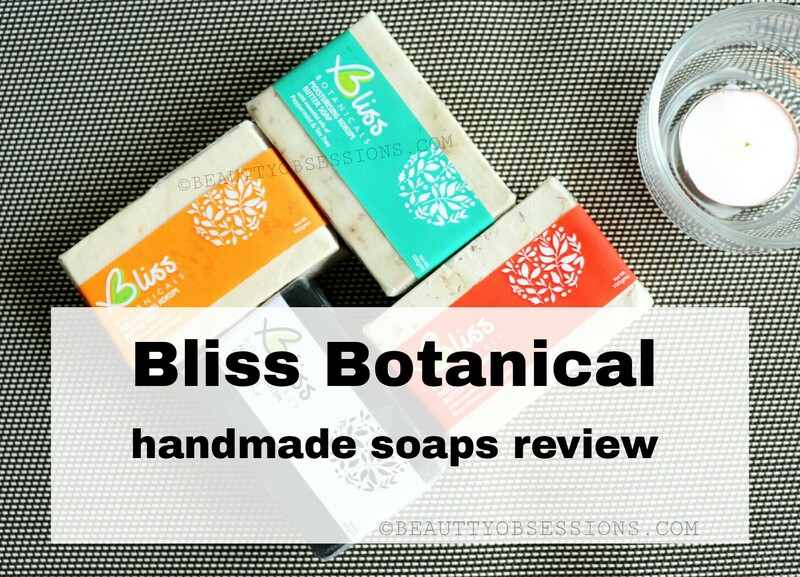 I am not a fan of soaps since years but I love trying out handmade soaps in between. Normal soaps are very drying on my skin and has loads of chemicals too. But I feel handmade soaps are very gentle on skin and also hydrated on skin. 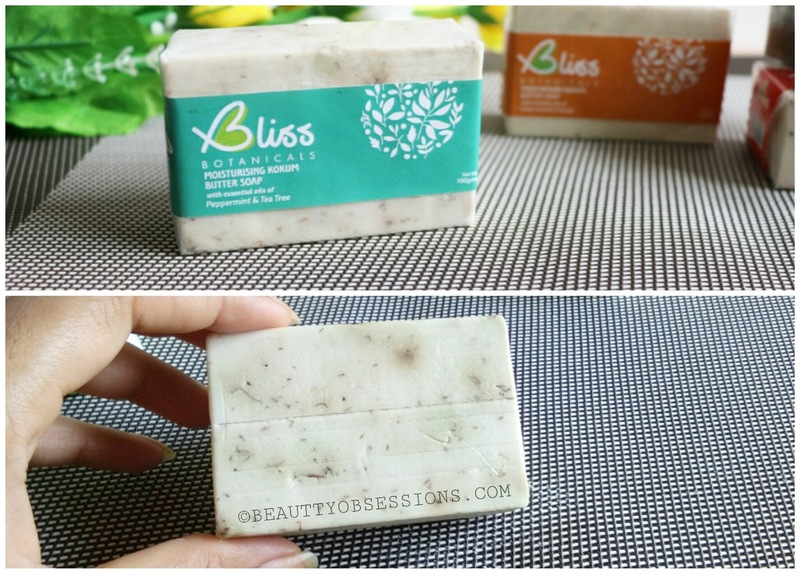 Since couple of days I am trying out these soaps by Bliss Botanical and trust me I am loving these to the core. My skin feels so soft and moisturised after every bath. I love the sweet, mild fragrance of each soap. These are all natural and handmade, hence so much optable for skin. Me and my husband both love these soaps. My personal favorite is the charcoal soap and the rose geranium & bergamot soap .. I wish they have some more variations.. 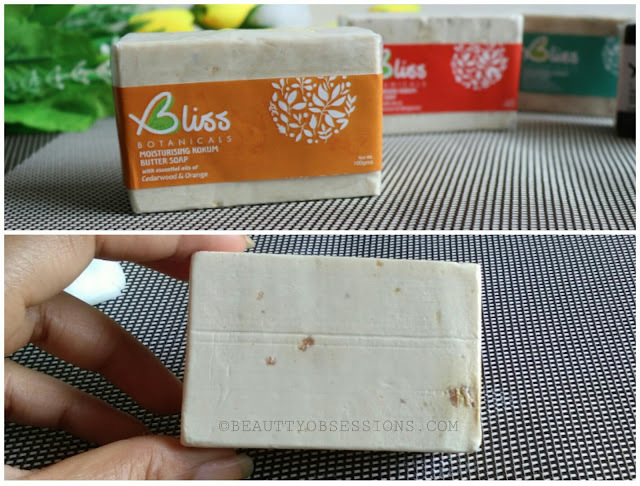 I am completely in love with these bars ..will definitely recommend you guys to check out these soaps on Amazon. Hope you found this post helpful. See you in the next one, till then take care. I love using handmade soaps. Even though they are priced a little higher they definitely feel a lot better on the body. And these soaps from bliss sound amazing. I just love the soap and their ingredient are so unique.I have heard of charcoal mask and peel off mask but not soap. this is truly amazing. I love to try them. I have started using handmade soaps and are in totally love with the effect on skin. I am sure even this one will be amazing. 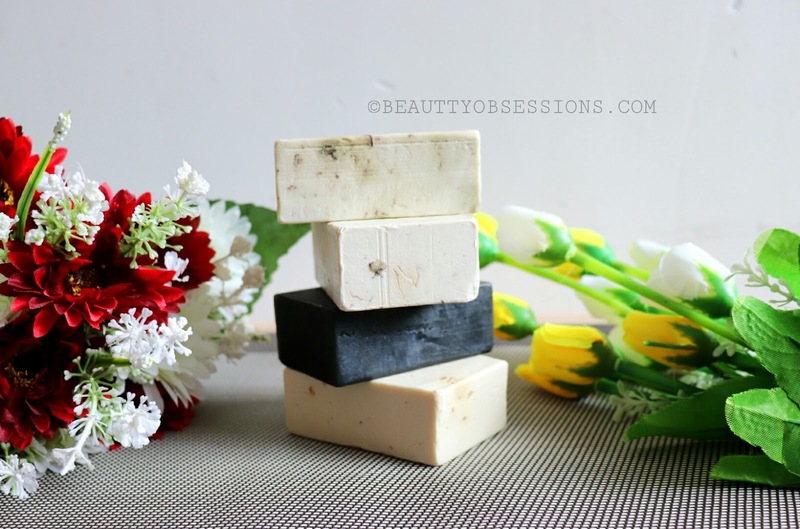 Handmade soaps for just rs.99? That's super amazing! I really want to try out the cedarwood soap! I can't use soaps either because of very sensitive skin but these ones sure are very enticing. I am a big fan of handmade soaps. They are really gentle on our skin .These soaps seem promising.